This is a beaded necklace with pendant inspired by Romanian traditional culture, from Dobrogea Country also named named "Windmill country" , representing the wings of a windmill. This symbol is characteristic of the area because in the past grain was ground made using windmills and the people activities were held around them. Women sewed this embroidery pattern to decorate traditional linen shirts that they used to be worn on days of celebration. The time required for manufacturing the piece was approximately 2 hours of work. 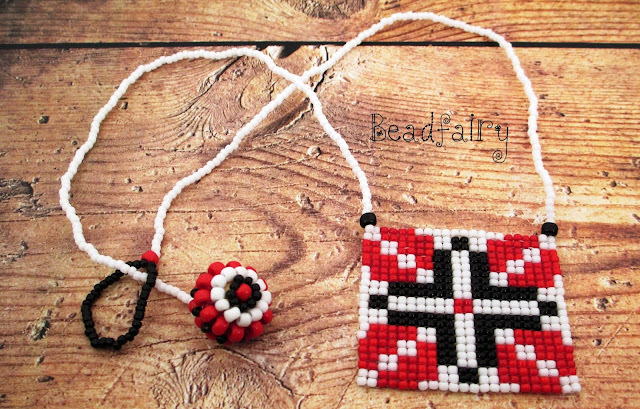 This is a beaded colar necklace and bracelet, inspired by Romanian traditional culture, from Dobrogea Country representing "the way around with flowers" and considered a symbol of prosperity and freshnes. The time required for manufacturing the piece was approximately 8-9 hours of work. 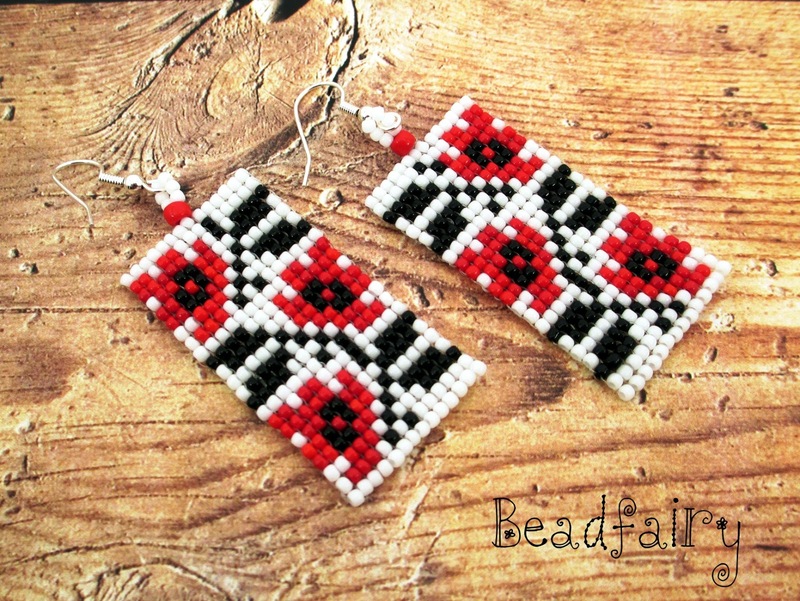 Materials used is toho beads, with 11/0 dimensions, color: red, black and white. 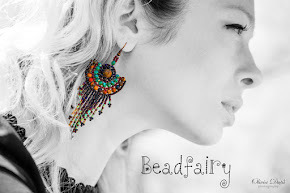 with silver clasps. The time required for manufacturing the piece was approximately 4 hours of work. This beaded earrings have a rectangular shape, with flowers symbols, which considered to be a symbol of prosperity and freshnes in Dobrogea Country. The time required for manufacturing the piece was approximately 2.5 hours of work. 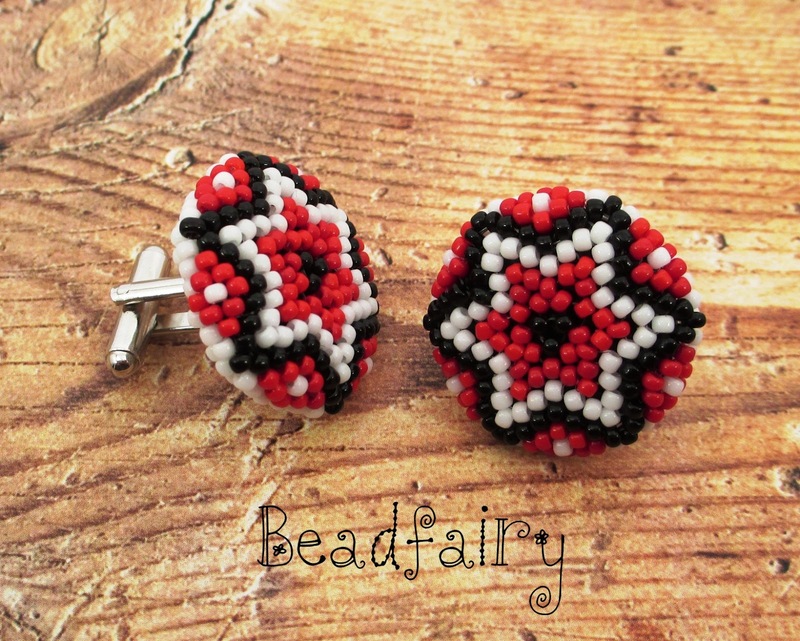 This is a pair of beaded cuff links for men's shirts made with a star symbol and colored in white, red and black, the colors specific to the Dobrogea Country. The time required for manufacturing the piece was approximately 2.0 hours of work.